Customer loyalty is the ultimate return for a business. But creating customer loyalty can be a challenge for credit unions because financial products and services rarely lend themselves to a sense of devotion. But the way to achieve long-term loyalty is through the member experience. Experts agree that providing a great experience can result in better margins, higher business value, and a competitive advantage. To create a credit union experience that delights members and drives new business, CUNA.org explained what leads to lasting loyalty. Rather than try to be everything to everyone, try to target a specific market’s needs and produce a highly personalized experience. This will distinguish the credit union from competitors and allow it to corner the market on a premium segment. It will also lead to very loyal members who crave customized service. Consumers want to want things. It creates an emotional connection to the object of desire and greatly increases its value. It can also impart a sense of excitement to the most ordinary activities. Since financial products and services are not naturally thrilling, credit unions need to make the experience exhilarating and enticing. 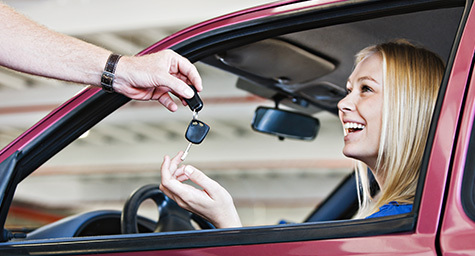 For example, if a credit union marketing campaign focuses on the thrill of driving a new car, rather than the process of getting an auto loan, it will create a sense of longing that keeps members engaged and excited about the credit union experience. Consumers crave the exhilaration of anticipation, which is often more fulfilling than the final outcome. This enthusiasm comes from an experience that raises their hopes and fulfills their expectations. This eagerness is hard to contain, which is why people who have had such an experience with a product or business are more likely to recommend it to others. Credit unions can create this sense of anticipation by developing experiences that make members look forward to financial events. Facing financial matters is assumed to be a complex and challenging process. Prove that presumption wrong by making credit union processes much faster, easier, better, and more affordable. This can be achieved by removing any hurdles and hassles that complicate financial actions. Smart credit union marketing, combined with a positive and pleasant service experience, can show that the credit union cares about its members. See how savvy credit union marketing can lead to lasting loyalty. Contact MDG Advertising today at 561-338-7797, or visit mdgadvertising.com.